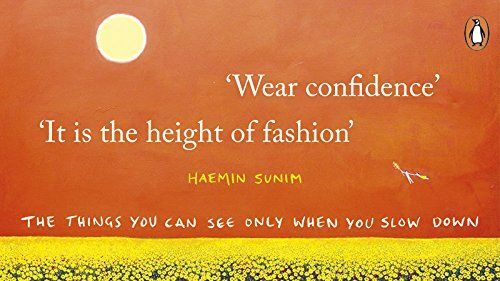 As I wrote in my round-up of books to read when life is hard, I owe a lot to Haemin Sunim. 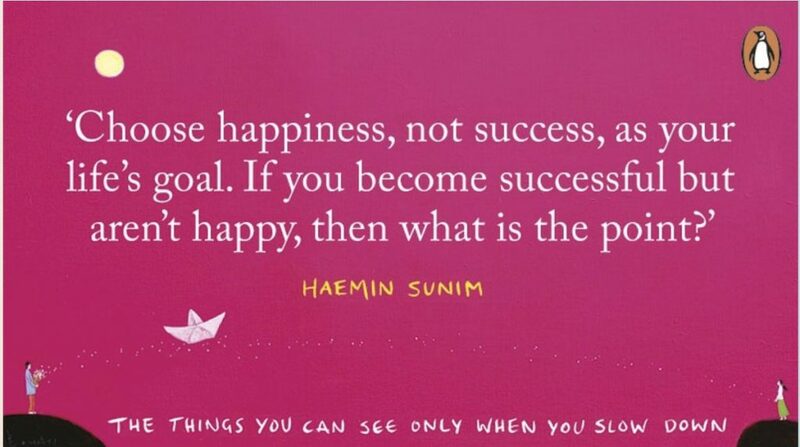 His first book, The Things You Can See Only When You Slow Down , has helped me through so much over the last year. When I was struggling through a breakup, I came across the Kindle sample and immediately ordered the little hardback edition. I then gave it to a friend, and another friend, and reread it myself. Someone saw the book on my desk at work and quickly bought herself a copy (it’s a beautiful book and sells itself very easily). 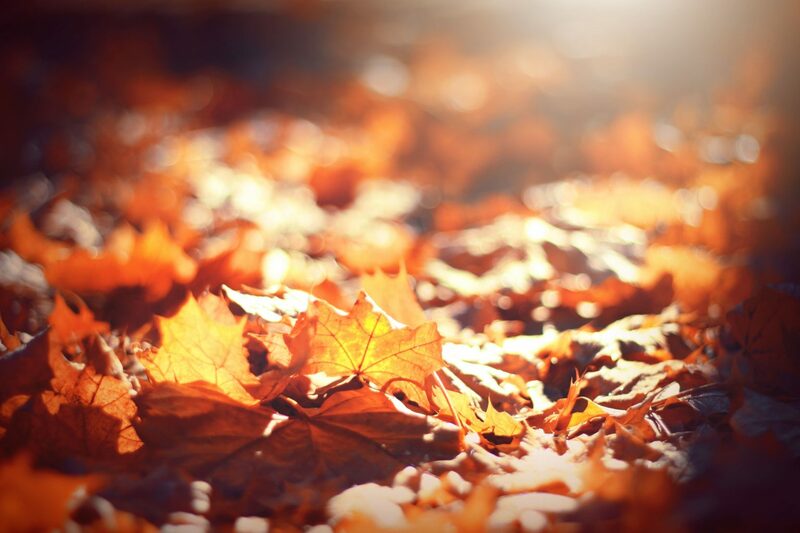 It’s not just about how to slow down and be calm in a busy world. It’s about how to live your life intentionally and be the most balanced version of yourself. It’s about joy, relationships, loving ourselves, work, and finding purpose. It’s about the ups and downs of life. P.S. It’s also the perfect book to read during a breakup. If you’re struggling with something right now, you’ll probably come across some Buddhist wisdom that matches exactly what you need in this book (let me know if you don’t!) That’s my kind of book. A guide to self-care and accepting ourselves with more lovely illustrations like The Things You Can See Only When You Slow Down ? Yes please. 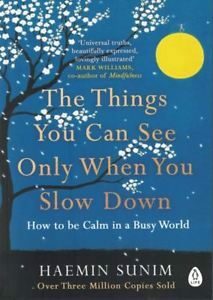 Read this for: taking good care of yourself, relaxing, looking inwards, slowing down, and being kinder to yourself and others. You can get a copy of The Things You Can See Only When You Slow Down here.